This 1935 article found in Short Wave Craft magazine quotes the station engineer as saying that they transmitted with only 5 kW into the farm of directional antenna arrays, and that it was sufficient to provide what was evidently very high quality reception to many remote regions of the world. Adolph Hitler had become "Führer und Reichskanzler" the year before, with plans already in the works to dominate the world. Troops invaded Poland on September 1, 1939, officially beginning the Second World War. DJC's global reach was used extensively for propaganda during the war. 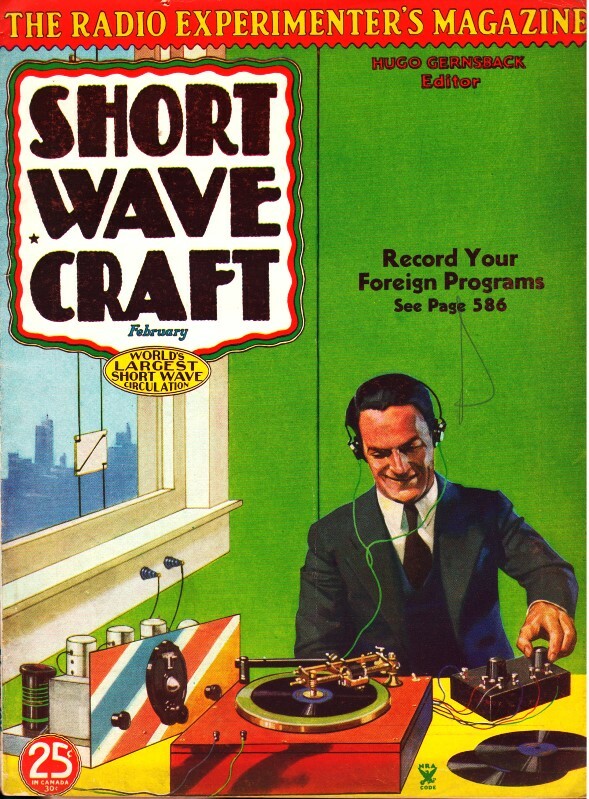 "On the Shortwaves" website has a digitized audio file of the 78 rpm greetings record that German shortwave radio station JDC would send to American listeners upon request. Chief Announcer "DJC" - Conrad Stadler (left) ; Chief Announcer "DJA" - Hans - Juergen Maraun. "Broadcasting House" Berlin, where the studios of the German short-wave station and of the Deutschlandsender and the Reichssender Berlin are located. 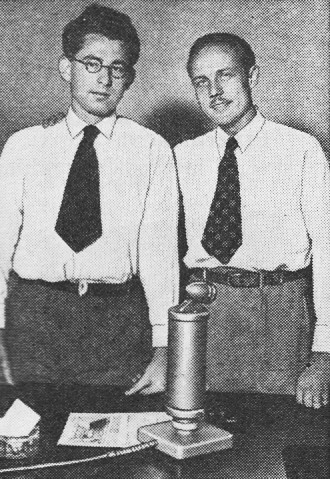 "The many letters of comment which have been pouring into the office since our Short-Wave Station opened its broadcasting activities on April 1, 1933, are a highly appreciated proof that our station has become a regular feature of the American Radio listener's evening entertainment," says a special report from DJC. "It has been very pleasant, indeed, and very helpful for the technical side of our work too, to establish this close personal touch with our U.S.A. audience. "While in 1933 our station, located at Zeesen, a village in the neighborhood of Berlin, transmitted its programs to North American listeners only, we have in the time which elapsed since, widened the circle of our radiations to South America, Africa, and the Far East. The system of our "overseas" broadcasts will be completed by the end of 1934 by building up two additional transmitters to Central America and Australia. 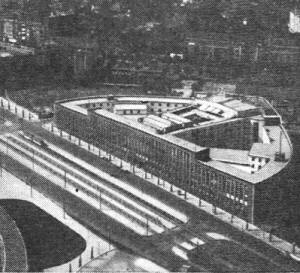 The short-wave station and aerial masts at Zeesen, near Berlin. Zeesen is thus developing into one of the most important centers of broadcasting in Germany, and we wish that our North American listeners could not only enjoy our radiations, but also the pretty sight of our many antennas overlooking the typical Brandenburg fir-woods in Zeesen. Many of our American friends have been surprised to learn that the transmitting power of our station, which they assumed, judging from the excellent reception, to be quite extraordinary, amounts to 5 kilowatts, in the antennas only. This power has proved sufficient to reach any part of the world with adequate volume. These results have been obtained due, primarily, to use of directional antennas which concentrate wave beam on those zones for which it is intended. Our North American listeners certainly get the bulk of our programs, being able to tune in to Germany every night.